Strawberry Shortcake Cocktail - super refreshing summer cocktail with only 3 ingredients. This is our signature summer drink! Today is National Eat What You Want Day! What a great day!!! We are celebrating with one of my favorite desserts - Strawberry Shortcakes. I loved eating strawberry shortcakes as a child. I still make them the same way my Mom did - store-bought shortcakes, whipped cream and chopped strawberries. To put them over the top, I like to add some chocolate sauce. YUM! I decided to make us a yummy Strawberry Shortcake Cocktail to go with our dessert. 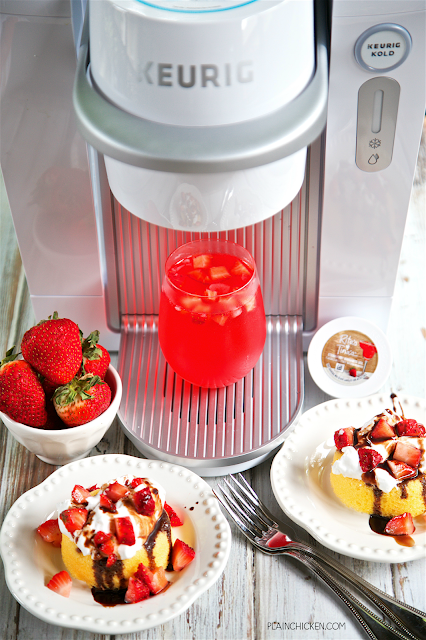 It was the perfect opportunity to use my favorite new toy - the Keurig® KOLD™ drink maker. Have you seen this new drink maker from Keuring? OMG! It is SO cool! It can make cocktails, iced tea, flavored waters and even soft drinks - all with the press of a button. I am a Diet Coke lover, so I had to give that pod a try as soon as I received the drink maker . I was surprised that it tasted exactly like a fountain Diet Coke. It was magic!! Our KOLD™ Strawberry Shortcake Cocktail was SO good! I popped in a Rita’s & Tina’s™ skinny Strawberry Margarita pod and added some amaretto and coconut rum. YUM! It was super delicious! 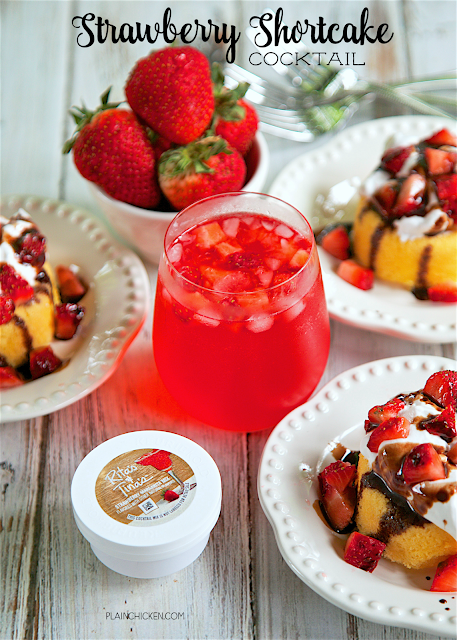 Very refreshing and perfect with our strawberry shortcake dessert. This would also be a great summer party cocktail and with the Keurig KOLD it was crazy easy to make! Place glass (12-ounce or larger) on drip tray. Add some crushed ice, if desired. 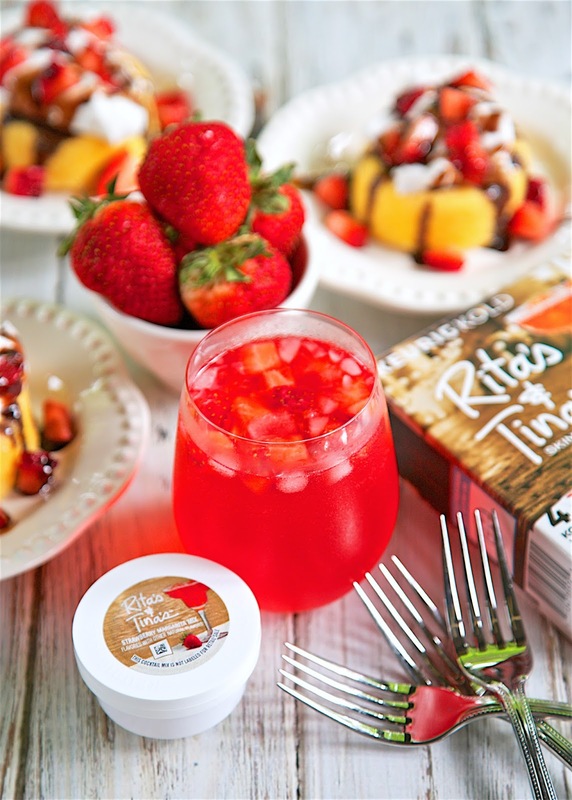 Make 1 KOLD Rita’s & Tina’s™ Strawberry Margarita Mix. Add amaretto and coconut rum to glass. This is a compensated conversation written by me on behalf of Keurig® KOLD™. The opinions and text are all mine.